Our client instructed us to source a stone to an exacting brief for this new-build private residence, designed by Jane Duncan Architects. 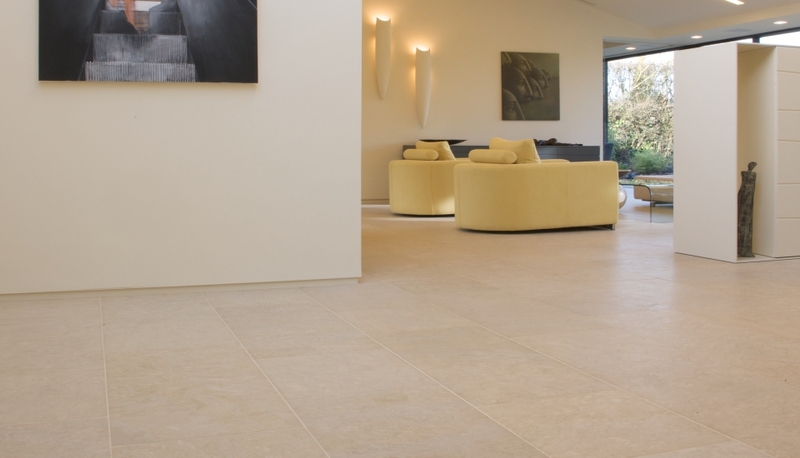 With a light, open feel to the whole house, and stone running throughout 380 square metres of interior and exterior space, the colour tone and durability had to be very precise. 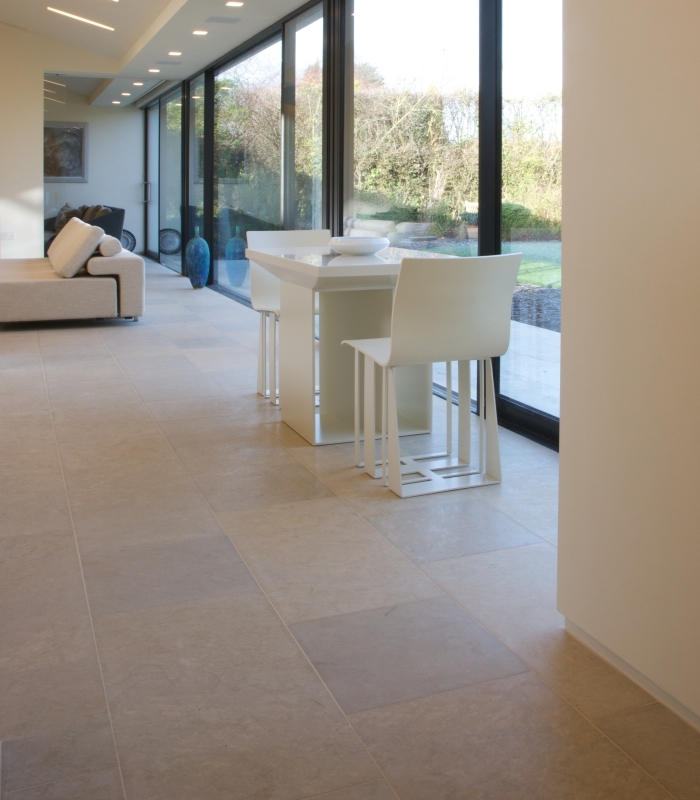 This San Roque limestone was perfect for the project, and was cut to a unique format with 80 x 40cm and 40 x 40cm tiles creating a half-bonded effect.